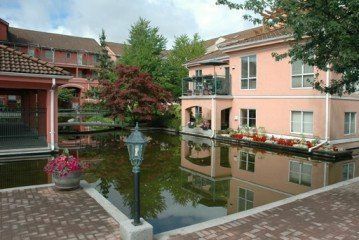 Fantastic 2 bed/2 bath corner unit surrounded by lagoons. Suite features lots of windows, & covered private patio with 2 private entrances. $20,000 upgrades stainless steel appliances & laminate/ceramic flooring. This awesome condo islike living in a house. Pets welcome! A must see.